"Courage is the first of human qualities because it is the quality which guarantees the others. " For a long time, that is what I believed, too, but now, like life, it seems to me much more complicated than I had originally thought. Erich and I have discussed this, kind of along the lines of the social psychology idea of how changes in knowledge change attitudes and then a person finally changes their behavior. We both agreed that honesty is important, but if you can honestly see a situation is unethical, for example, but don't have the courage to do anything about it, what good is your honesty? I am never afraid to tell people the truth. This doesn't mean that I am not sometimes sorry that telling the truth might cost me a friend, a job or an election. It doesn't mean I am incredibly courageous, either. Like Stevenson, what I fear most is losing my integrity. If I won an election by lying and deceiving voters, I can't imagine I would be any better in the end than whoever I set out to defeat. It's not really courage if losing isn't the thing you're most afraid of. I am way more afraid of looking in the mirror one day and seeing that I turned into the very people I fought my whole life against. What is courage without conscience, though? 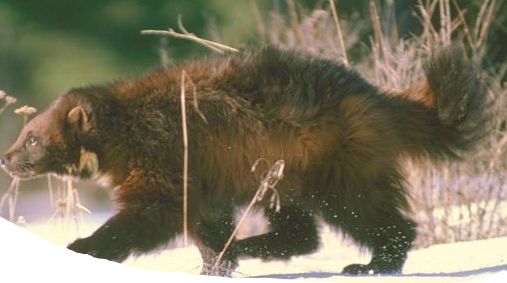 If all that mattered was courage one of the most ethical life forms is probably the wolverine. It will attack almost anything of any size. Including people. Keep that in mind if you find yourself wandering in wolverine territory. So, maybe generosity is the greatest virtue. Not just generosity with your things, but that generosity of spirit that Erich is always talking about. Being generous enough to help other people without any expectation of return. Being generous enough to work extra hours just to make sure the clients of your program get the help they need. Being generous enough not to take anything more than you need, not to fly first class when the school district sends you to a conference so that there is a little extra money for the students and teachers. That also takes honesty, the willingness to admit to yourself that the money you are taking for that first class ticket, or the gas you are using to drive the company car to do your Christmas shopping and go to dinner in Fargo, is money that could be better spent. So, is generosity the most important? "The greatest test of courage is to bear defeat without losing heart." No, I don't know who Robert Ingersoll was either, but he makes a good point. In the Introduction to Ethics course, there is a case study of "Susie Sainte". Now, Susie is a hard-working, honest tribal employee. The quality of Susie that really stands out for me - and she is based on a combination of real stories of real people - is that she does not give up. Supposedly, Adlai Stevenson also said that it is far easier to fight for a principle than work for it. I think that is a great truth. While there is no shortage of people who will stand up at a council meeting and yell about the need to do something about alcoholism among the youth, it is a much smaller number who will be at a New Year's Eve lock-in, a summer dance, a sobriety ride, and on and on. After a program loses funding, 90% of those who worked on it will disappear. It is that 10% who write another grant, badger the tribal council for funding, sell Indian tacos to raise money who make the real difference in a community. In 18 years working with various reservations, I have seen people in positions of authority who lost their jobs, often due to being on the wrong side of a political battle. Some of them gave up, left the reservation, or just got a different job where they worked 9 to 5 pushing papers and collected a paycheck. Others found different ways to pursue their same core values. 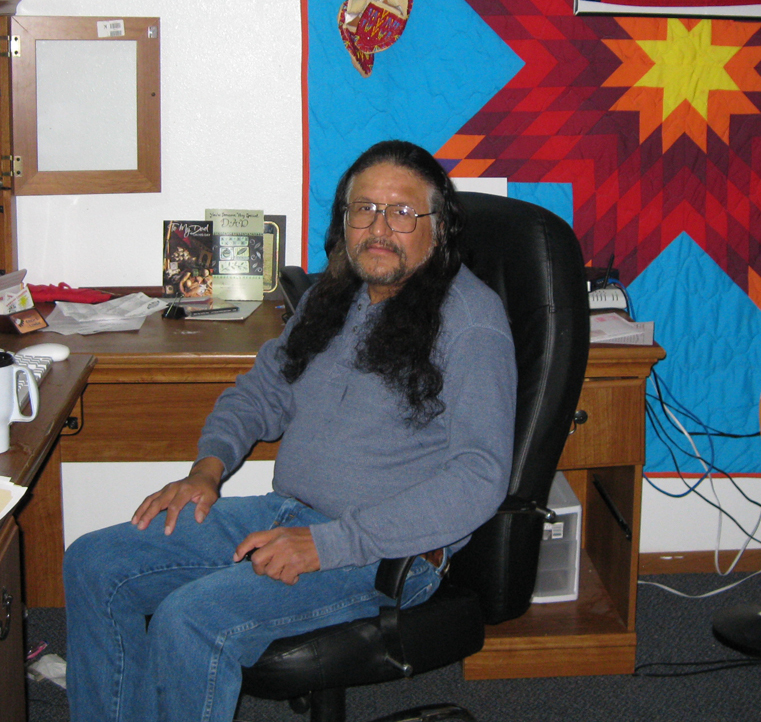 Erich left the tribal college as president and has since been director of another educational program, Even Start, and for the last several years the president of Spirit Lake Consulting, providing on-line education for the reservations in the Great Plains. If you don't have perseverance, the fortitude to keep going despite obstacles, then all of your courage, honesty and generosity won't be put into play long enough to have an effect. So, which one is most important? I think that is one of those questions like which one of your children do you like the most. It's best to just hang onto all of them. Over the years, Erich and I have shared a lot of drives to Grand Forks, Fargo and other parts east. 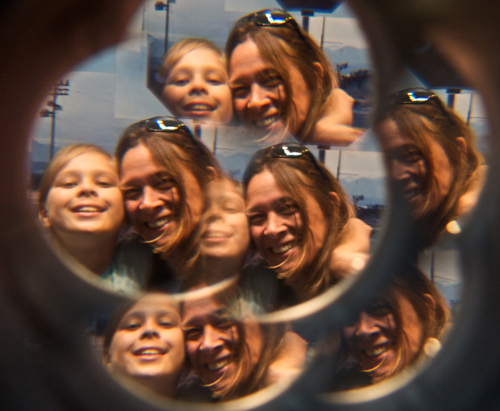 Since he had three boys the same age as my three girls, we also shared the experience of surviving our children's adolescence. "You need to be a man, my son." Having all daughters, I was curious about that saying. When I asked about it he said that was his way of teaching them to be a responsible member of society. Daniel Levinson, author of "Seasons of a Man's Life" called the twenties, "the years when a man pays his dues to society and the species." That is, this is the age when young men get a job and start a family. All week, I have been working on the Tribal Leaders Institute course, Introduction to Reservation Ethics. There is a lot of discussion of the responsibility tribal members have to their tribe, community and building a sustainable future. 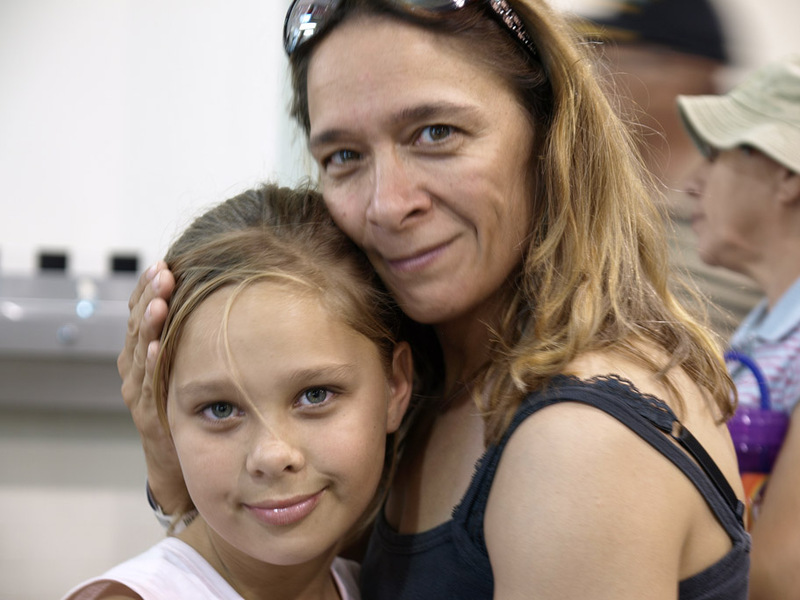 Going on at the same time, the U.S. national judo championships is this week and there have been a lot of men and women of all ages coming into town, coaches, competitors, parents with their children. It's a chance to see a lot of what I call "testosterone poisoning", men at practice who are trying to beat people instead of work together, coaches screaming and swearing at players and referees. As a woman, I run into men who don't want to take any direction from me, even if I am teaching a class or the president of an organization. It occurred to me that many of these "tough guys" display what Erich refers to in the course as "physical courage". They are willing to wrestle another guy to the ground, throw a punch or threaten to kick someone's @$$. I am not at all impressed. Maybe I would have been as a young girl, but now that I am a grown woman, I have a better idea of what it takes to be a man, and it is all of those Dakota virtues Erich talks about , which are (I certainly hope) not limited to the Dakota at all. Honesty - the honesty to admit when you are wrong, to face up to your true feelings, to speak the truth to your friends and co-workers even when they don't want to hear it. Courage - one of the truest things Erich said in the whole course, I believe, is that we often make things complicated when they are quite simple, but hard. For example, there is a man in one of the organizations who molested several young girls. This is documented by witnesses, signed statements, personal testimony. Yet, the committee keeps delaying, and saying they need to hold one more hearing, collect more evidence. They have been doing this for four years. Every attorney who has reviewed this has verified that there is enough evidence to take action but the committee keeps putting it off. Why? Because they are scared. Generosity - I think being a good person has to do with what Erich calls "generosity of spirit" as well as generosity with material goods. After the coaches clinic today, a gentleman from Alaska came up to me and thanked me for teaching. He said it wasn't often that someone who was president of an organization took the time to even show up at an event like this one, much less spend an entire day teaching coaches from small clubs. Lately, I have had a lot of people asking for a lot of things and very little appreciation. Just the time he took to say a few words made my day. Generosity also means being generous with your time, like the man today who is a CPA and company executive. He took the day off work also to come help. "I'm not anybody. I was never a world champion." " YOU are a good person. I've never known you to be anything but honest to me or anyone else. You always have my back. You've stood up for me even when it might cost you some position, some funding for your program or made you unpopular. I have met plenty of people who are great at what they do. I have met world champions, Olympic medalists, world-class researchers, people who have made fortunes, published dozens of scientific articles. That's good for them but none of that impresses me as much as you. As a friend, I'd pick you over them a million times out of a million." "Be a man, my son." Hmmm.... has a nice ring. "Virtue is its own reward." At the time, I thought what my grandmother meant was that you would feel good that you did the right thing and that was enough. When I was a ten years old, visiting my great-grandmother and reading to her while the other kids were outside playing, it certainly did not seem that it was rewarding. For one thing, I did NOT feel good inside that I was doing the right thing. I felt resentful, and jealous of the other kids out playing. What does all of this have to do with ethics on Indian reservations, or anywhere else for that matter? Well, as often happens in life, I turned out to be completely wrong about things in my younger days. In fact, what my grandma meant was much more practical, she truly believed that if you live an ethical life of moral courage that you have a better life, better relationships, are a happier person and feel good about yourself. She was right, as usual. All of those things Erich has been discussing in the new Introduction to Tribal Ethics course relate back to all of those lessons my grandmother tried to tap into my rebellious, ungrateful adolescent self. "A man meets thousands of people, makes hundreds of acquaintances but if he can count on a dozen good friends in his life, he should consider himself lucky." I have been unbelievably lucky. It is not that I have so many friends but that they are so good. I can think of a half-dozen people who I have known for ten, twenty or thirty years who have NEVER been anything but honest with me. One of the topics discussed in the tribal leaders course under "Myths of Ethical Change" is "everyone is doing it". That is, everyone lies, goes back on their word. I don't and if you do, you and I won't be friends. We might be acquaintances, we might do business together and be perfectly polite to one another, but we won't be friends. Friends are people like Dr. Erich Longie, who, when my husband died many years ago and the lender wanted to immediately call the note on my house because I only had one income, offered to go to the college board and ask them to pay me my entire year's salary in advance so I could pay off my mortgage. (I sold the house and it worked out fine, but that wasn't the point.) Friends are people like Dr. Jacob Flores who drove hours in pouring rain in rush hour traffic from one end of Los Angeles county to the other to make a house call because my daughter was sick. If you are a person who keeps your word, who is loyal, honest and hard-working, those are the kind of people who you will have around you. If you are just the opposite, you may fool some people for a while. Eventually, they will catch on. In the end, you will be left with people just like yourself. If you are one of those people on a board or committee who never does your share, eventually, you'll find no one wants to work with you. If you are the opposite, you'll have the smartest, hardest workers on your side, because these are people like you, who have perseverance and fortitude. "I can't vote against that person, even though he molested those girls and I know it, even though he embezzled a hundred thousand dollars. What if I lose my job? What if he takes me to court and I lose everything I own? I need to think of my family first." I think of my family first, too. I think of the kind of role model I will present for them, of giving them an example of courage, honesty, perseverance and generosity, so that they can develop into good strong people. Nothing in life is guaranteed, but if you act daily as an ethical person, you are less likely to have children who are confused, lazy, selfish, cowardly or dishonest. Your children will learn from the model you give them, and, when they are older, you'll reap the benefits if you did provide an ethical example - and pay the price if you did not. A lot of whether your life is good or bad is determined by the kind of people around you. A lot of what kind of people are around you is determined by the kind of person you are. You get what you earn.